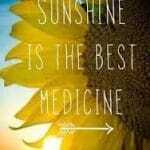 This post summarizes many of the main points about sunshine, vitamin D, and optimal health. Holick starts by summarizing our history with the sun. Was it always a demon? No. In fact, he starts by reminding us that sunlight enabled evolution. He concludes the paper with information from a study that showed 48 ng/ml (120 nmol/L) was the average 25(OH)D status of Maasai herdsman, who live near the equator and are outside daily, suggesting that our hunter-gatherer forefathers likely maintained their 25(OH)D levels within the range of 40 -60 ng/ml (100-150 nmol/L). What about more modern times? In the 17th century, with the industrial revolution, doctors in inner cities started noticing bone deformities in children which turned out to be rickets. It took them awhile to figure it out, but they were finally confronted with the fact that children with less nutritious diets, in rural areas, did not have these deformities – it was the inner cities and lack of sunlight that caused the problems. This observation was ignored for almost 100 years until sunbathing was encouraged to treat and prevent rickets. Around 1920 food irradiated with UV radiation was found to prevent rickets. The compound eventually identified as responsible for the benefit was vitamin D2. Milk was then fortified with D2 on a large scale and rickets essentially vanished. After this time, the sun enjoyed some notoriety. It was discovered that sunlight on the human skin formed D3, not D2, and exposure to sunlight was encouraged. The US government even encouraged parents to have their infants sunbathe regularly in order for regular growth to occur. 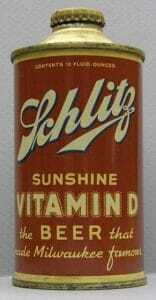 Vitamin D was added to more and more food products including bread, custard, soda, hot dogs and even beer. Then, in the 1940s and 1950s, some children in the US and England were diagnosed with hypercalcemia. The doctors at the time attributed it to an excess of D, looking back it seems these children had William’s syndrome – a condition that made them hypersensitive to vitamin D. Unfortunately, these cases caused governments to drastically pull back their fortification programs. Sunlight includes both UVA and UVB rays. When the sun reaches the skin these UVA and UVB rays penetrate the skin and make small changes. One of the changes is a thickening of the skin, which further protects the skin from sunlight. Another is to produce melanin, or cause the skin to darken, another protective factor. Melanin is a natural sunscreen and also acts as an antioxidant and free radical scavenger. A negative effect of the sun is that UVA radiation can cause the formation of free radicals, which can damage proteins, DNA and RNA in skin cells. Holick reviews some of the positive effects of sunshine including the production of beta-endorphins, which contributes to a general feeling of well-being, or that runner’s high, you get after being in the sun. It is well-known that lack of sunlight is associated with depression, and in the winter months can cause SAD – seasonal affective disorder. Many studies have found a correlation of season, and latitude, with cardiovascular disease. Holick cites a study where cardiac mortality was between 22% – 40% higher in the winter than summer in the northern countries of Ireland and Norway. He cites another study that observed higher overall blood pressure the farther away people live from the equator. Another study provided 26 weeks of UVB radiation to participants with hypertension and monitored blood pressure for an additional 9 months after the treatment. Patients were able to maintain normal blood pressures throughout the treatment and for the 9 months after. Scientists do not yet fully understand the exact reasons that sunlight aids in cardiovascular disease. It could be vitamin D production or nitric oxide production, or each may play a part. A less well known potential factor is that UVB radiation causes a release of carbon monoxide from hemoglobin. Carbon monoxide can cause vasodilation – the dilation of blood vessels. Epidemiological studies show a correlation of distance from the equator with different auto-immune diseases. One such study found a 10-15 fold lower risk of type 1 diabetes for a person living at the equator. Another study found a 50% lower risk of MS when living below 35 degrees latitude. Again, it could be vitamin D production, but Holick also describes how sunlight expresses a gene that produces beta-endorphins and ACTH, a hormone that increases production of cortisol, which is a known modulator of the immune system. A 1915 study reported that indoor workers had an 8-times higher risk of dying of cancer than an outdoor worker. Additional studies in 1941 and the 1980s related cancer risk to latitude. A study of Canadian women published in 2007 compared sun exposure as a child, 10-19 years old, with breast cancer later in life. That study found that women with the most sun exposure had a 69% reduced risk of breast cancer later in life as compared to those with the least sun exposure. There is a lot of research that shows both latitude and birth month to be indicative of disease rates. We also know that vitamin D needs to come mostly from the sun or supplements, most people cannot get enough vitamin D from food. We know that we have been told to avoid the sun, and consequently our society is getting sicker and sicker. Sensible sun exposure during spring, summer and fall could be a great method of improving health, with no downside if done properly. The key is not to burn. Start slow and allow your skin to adapt to this sun exposure.